and twentieth centuries. 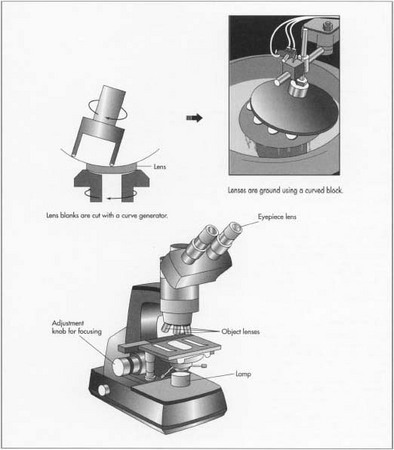 Electron microscopes were developed in the 1930s, acoustic microscopes in the 1970s, and tunneling microscopes in the 1980s. lenses are placed in the steel tubes, which make up the bodies of the eyepiece and the objective. These tubes are manufactured in standard sizes, which allow them to be assembled into a standard size microscope.